Once upon a time there was a beautiful cupcake. 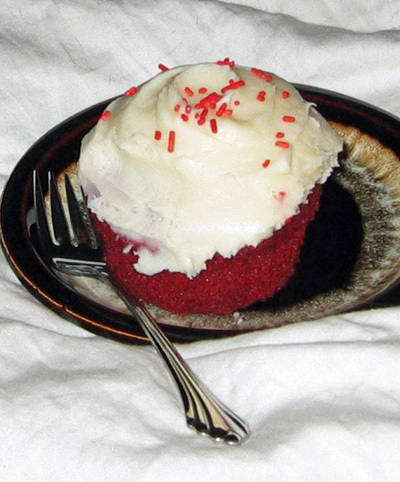 It was tasty red velvet cake with a thick layer of cream cheese frosting. 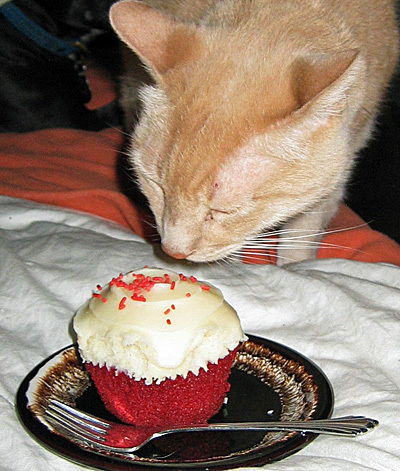 Staff was about to enjoy their luscious cupcake when suddenly – the Bobcat Monster appeared! Clearly he had caught the scent of cream cheese. And then there was licking. is jeff ok? there seem to be leftovers. No question of it being too hot, or too cold-it was Just Right. Or should I say, Jeff Right??? Hope staff got a little taste. Hmmm, El Jefe doesn’t look too satisfied. Perhaps if it were a meat cupcake? 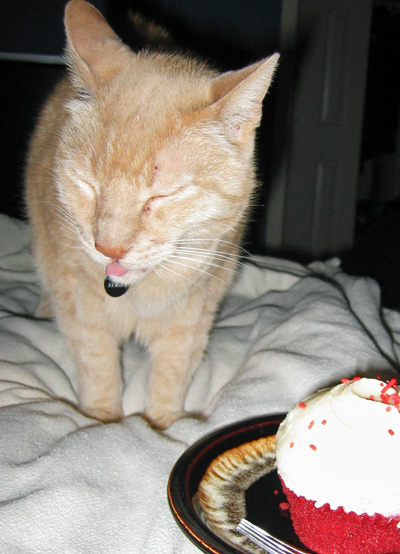 I do hope that Jeff was allowed to finish that cupcake without the intrusion of the lens. Frankly I am shocked that Staff had the audacity to try and eat a cupcake.